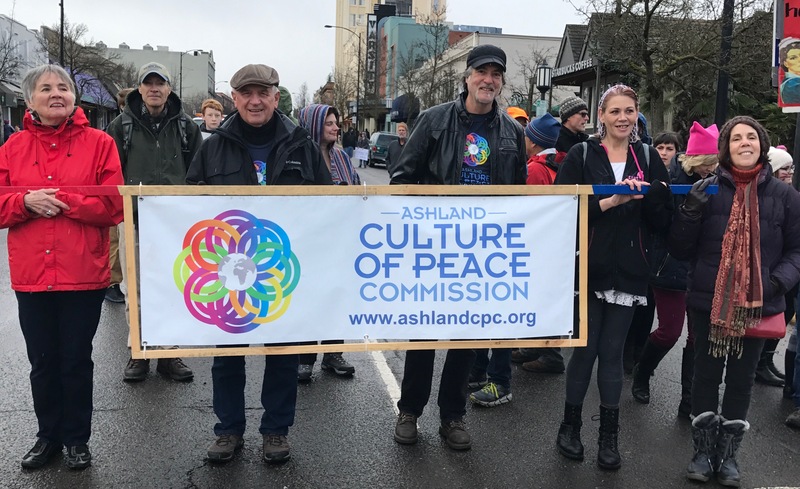 Welcome to David Wick and the Ashland Culture of Peace Commission who have established through their partnerships with civic society and the City Council Ashland, Oregon: City of Peace. 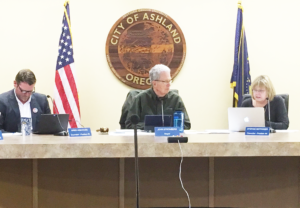 Reading of the Ashland City Council’s Proclamation as an International City of Peace, May 17, 2017. A community-wide movement dedicated to transforming our attitudes, behaviors, and institutions into ones that foster harmonious relationships with each other and the natural world. Bringing the concept for a Culture of Peace to Ashland, on March 17, 2015, the Mayor and Ashland City Council unanimously adopted the Culture of Peace Proclamation with the concluding paragraph stating, “NOW, THEREFORE, the City Council and Mayor of Ashland strongly encourage residents to work toward development of a Culture of Peace community, and pledge to lend appropriate encouragement and support to that effort.” This was inspired by a citizen led group where alignment of values with the city government was found and then further developed. 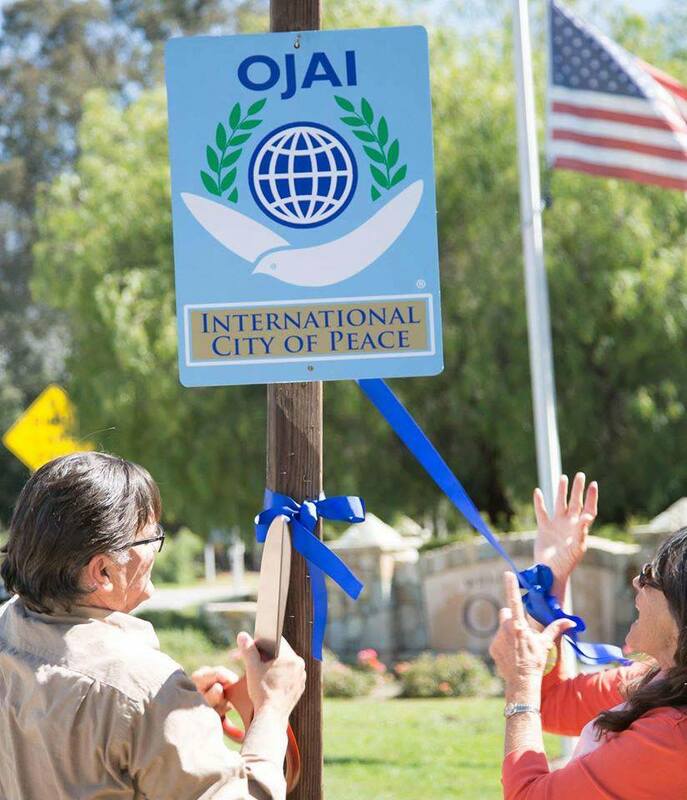 On September 21, 2015, the International Day of Peace, the Ashland Culture of Peace Commission (ACPC) was launched. 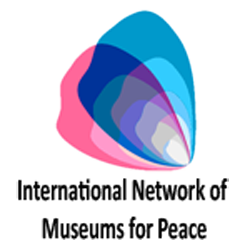 The Commission is a community initiative, an independent citizen’s commission, which has grown organically from the ground up. It is made up of volunteer Commission Members and an integrally woven group of Action Teams who conduct the work of ACPC. 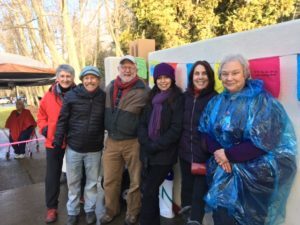 The Commission Members have been chosen to represent segments of Ashland’s community as inspired by the Pathways To Peace, Peace Wheel. This includes: education, business, media, the arts, science, environment, spirituality, law, and habitat. 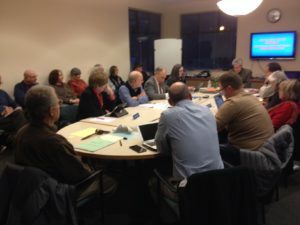 Commission members include the editor of the city newspaper, chief of police, headed of the public library, County Justice of the Peace, artists, musicians, and young people. The ACPC community activities include: community talking circles, providing homeless and travelers a safe place to talk, peace education experiences through interfacing with Ashland School District and students, Peacebuilding skills training programs for volunteers, bi-weekly Culture of Peace articles in the Ashland Daily Tidings newspaper, development of a network of community non-profit organizations, leadership through values consulting, implicit bias training and inspire the business community through the Ashland Chamber of Commerce. ACPC is an organization that provides service to the community through recognizing specific needs, often organically developed, and offering help and guidance through creative solutions led by our value: compassion, accountability, inclusivity, respect, and openness to change. 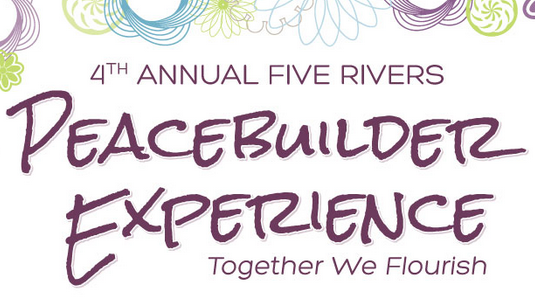 The Ashland Culture of Peace Commission functions with approximately 60 core volunteers. The first year of ACPC has been creative, productive and moving quickly with high caliber volunteers who have generated 15,000 volunteer hours in 2016. Significant community impact has been established in one year. 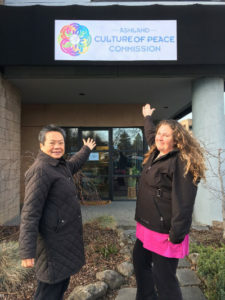 ACPC is a 501(C)(3) non-profit organization known as Culture of Peace Commissions with a Board of Directors and an Executive Director with a dba of Ashland Culture of Peace Commission. ACPC is focused on the transition from the culture of violence and war that unfortunately we live within, to a new culture, a culture of peace. This is a vital local and global transformation. There are many factors, influences and choices that have brought communities the issues, difficulties, and challenges dealt with every day. This includes issues related to social justice, human rights, environmental protection and equitable relationships showing up as homelessness, loss of affordable housing, racial discrimination, and sexual harassment. 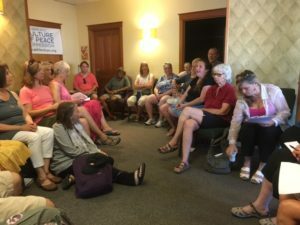 Since the national election fears and challenges have increased, we are exploring ways to bring people from a broad political spectrum of beliefs and perspectives together to find common values and care in this community. We are being proactive rather than waiting to be reactive. Community does come down to daily choices and agreements we all make, and over time we create our environment and culture. With our unique approach, Ashland is seen by many people as a model of this new culture for other cities. It is about shifting mindset and behavior in all aspects of our societies to embrace humanity’s interconnectedness as we move from force to reason, from discord and violence to dialogue and peacebuilding. The intention is to inspire new thinking and see through new lenses to further develop the Culture of Peace for present and future generations. This leads to systemic change, the long term goal of the Ashland Culture of Peace Commission. Through a twist of fate, and ACPC co-founder Irene Kai’s vision, Ashland will become the home of the World Peace Flame Monument on Peace Day, September 21, 2018. 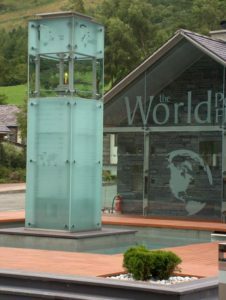 The World Peace Flame Foundation in the Hague, Netherlands has given Ashland permission to erect a replica of the monument in Snowdonia, Wales, the first in North America. The World Peace Flame Monument in Ashland will be a beacon of hope and inspiration for all people locally, nationally and internationally. 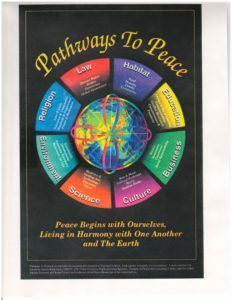 As defined by the United Nations, the Culture of Peace is a set of values, attitudes, modes of behavior and ways of life that reject violence and prevent conflicts by tackling their root causes to solve problems through dialogue and negotiation among individuals, groups and nations (UN Resolution A/RES/52/13). We have found that the following is fundamental to recognizing, and co-creating a Culture of Peace. Anyone who can align themselves with these values, who is truly curious about other people’s unique perspective, who can listen to the other person’s perspective without needing to agree or disagree is by our definition, a peace ambassador. We believe in the principle that the act of deeply listening to another’s perspective from a place of non-judgmental witnessing is in and of itself a radical act. We have found that when human beings feel truly heard by someone not trying to convince them or convert them to another way of thinking, that act in and of itself causes a shift in the person speaking. This is why we believe that one of the core ingredients for creating peace is to listen with respect and care, especially to points of view different from our own. We recognize that we ourselves hold a perspective limited by definition, by our own experiences and beliefs, and that the experiences and beliefs held by others are as valid as our own. Once people feel truly heard, an open, honest and respectful dialogue can ensue. We believe that when we demonstrate our respect for another by listening in this way, the other person is more likely to respond in kind. This exemplifies peace. Thus we believe we can be valuable to our community simply by practicing our values in the presence of others while asking the question, “What would a culture of peace look like in this situation?”, having no explicit answer but trusting that the combination of each person’s answer to this question will guide us in the right direction. 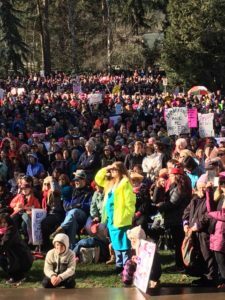 ​Two Ashland mothers decided to organize the Southern Oregon Women’s March, which was scheduled for January 21, 2017 to be in alignment with other marches across the country and in Washington, D.C. protesting the new US administration. 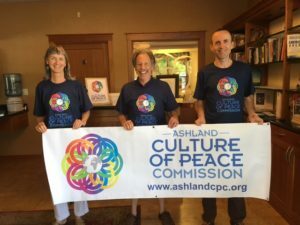 The Ashland Culture of Peace Commission was the first organization from which they sought sponsorship. David Wick and ACPC colleague Bob Morse explained that ACPC activities are grounded in, and examples of, our values, and not on being “anti”, or focused on an “enemy”. This was a condition for our sponsorship. Inspired, the two organizers left to draft a new statement of purpose and guidelines for the march. 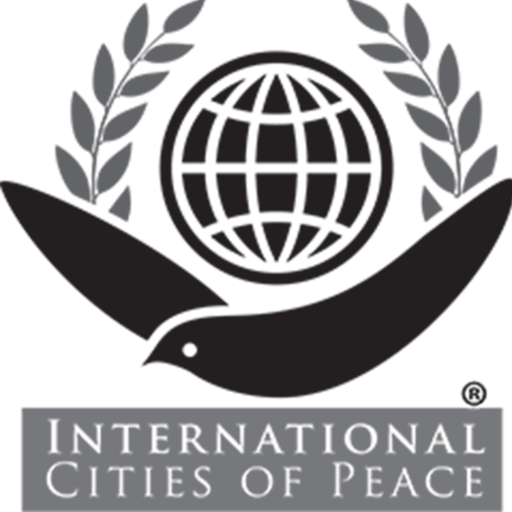 In 1983 David helped launch the United Nations NGO, Pathways To Peace (PTP) which had assisted the adoption of the UN’s International Day of Peace in 1981. David has been a leader in organizing the celebration of the International Day of Peace since 1984 and he currently serves as a PTP Director. 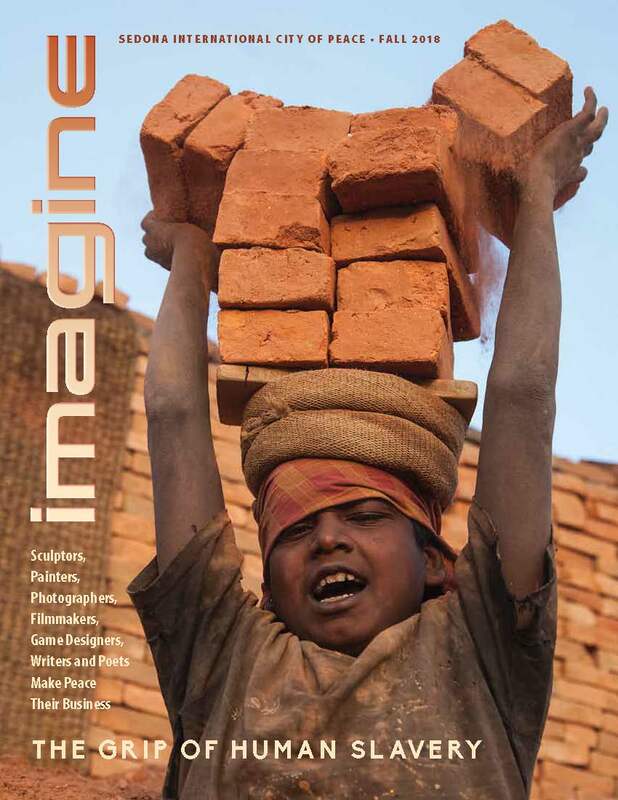 While working at Stanford University, in 1985 he founded the ten year-long PTP Peace Within Organizations program and in 1995 co-founded the visionary project Peace Building Through Business which led to being a leading member of a five year international think tank on the future role of business in the 21st Century. 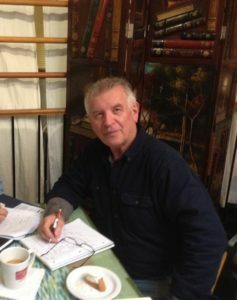 David is currently the Team Leader of the global Culture of Peace Initiative (CPI), a UN-designated “Peace Messenger Initiative”, of which Pathways To Peace serves as the Secretariat. 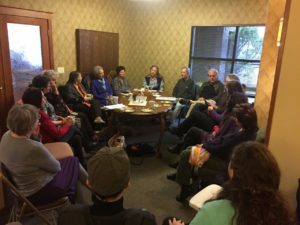 Building upon his knowledge and experience, David currently serves as the Executive Director of the Ashland Culture of Peace Commission (ACPC), engaging the Ashland community in new ways of thinking and behavior, and developing a model other cities may benefit from. In his previous role as Vice President of Southern Oregon China Connection, David has been an essential initiator in developing the growing economic, educational and cultural bridge between Oregon and China and worked closely with Oregon’s legislators and the Chinese Consulate in San Francisco. David focuses on leadership development and international relations and in the related position of Adjunct Professor, School of Business, Southern Oregon University he co-taught the Leaders Growth Series. David also works in the Public Diplomacy area through placing foreign exchange students in high schools and with host families in Southern Oregon. David has over 30 years of executive and management training and organizational development consulting experience, and has held important positions within Sun Microsystems, Stanford University, Levi Strauss and the European Foundation for Management Development (efmd). He has designed extensive international training programs, and has received accolades in both the business and peace building arenas. Building upon his coaching and consulting experience, David has served as Managing Director of Southern Oregon’s Triple Bottom Line for the 21st Century Program (TBL21) with the goal to embed regional business with sustainability practices and leadership. He also served as the award-winning publisher at Silver Light Publications. David has created hundreds of talks, articles and interviews on various topics. Ashland is a city in Jackson County, in the State of Oregon. It lies along Interstate 5 approximately 16 miles (26 km) north of the California border and near the south end of the Bear Creek Valley, an arm of the Rogue Valley. As of July 1, 2013, the city’s population was estimated to be 20,713. Oregon is a state in the Pacific Northwest region of the United States. Oregon is bordered on the west by the Pacific Ocean, on the north by Washington, on the south by California, on the east by Idaho, and on the southeast by Nevada. The Columbia River delineates much of Oregon’s northern boundary, and the Snake River delineates much of the eastern boundary. The city is the home of Southern Oregon University (SOU) and the Oregon Shakespeare Festival (OSF). These are important to Ashland’s economy, which also depends on restaurants, galleries, and retail stores that cater to tourists. Lithia Park along Ashland Creek, historic buildings, and a paved intercity bike trail provide additional visitor attractions.